Hiding a car’s history is becoming increasingly difficult. That’s good news for secondhand car buyers – especially those of us who like to buy older vehicles that might be hiding more defects. As well as the government’s official MOT history checker (it’s a massive time-drain for anoraks like us), used car website Cazana also dishes dirt on a car’s past. This includes MOT history, how many owners its had, and even when it’s previously been for sale. Cazana attributes the inclusion of 4x4s in the list to the higher likelihood of them being used in muddy conditions, but it’s still a surprise to see the Range Rover Sport take third place. While we still view the RR Sport as being a relatively modern car, early examples are now 13 years old. Old enough to justify MOT failures and advisories for rust? By contrast, the areas with the fewest rusty cars are mainly in the south of England, with Kent, Surrey, Oxfordshire and Hampshire all highlighted. Keen to keep the rust at bay? The website has provides these helpful tips to prevent your car going rusty. Regular maintenance. This may sound obvious, but keep up with regular repairs as it can make all the difference when something is caught early. Wash your car regularly. 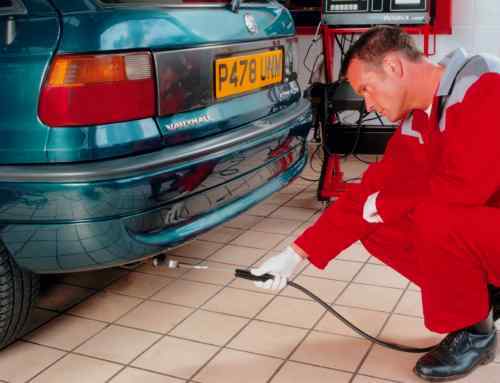 Make sure wheelarches and the underbody are regularly cleaned. Keep your car in a sheltered area. If you are lucky enough to have a garage or sheltered area to park, make sure you use it to help protect your car from harsh weather conditions. If you don’t have a sheltered place to park then consider getting a car cover. Wax. Get your vehicle waxed twice a year (especially if you live near the seaside) and consider having a body protection treatment added. Keep the inside of your car clean, too. Don’t just wash the outside of the car, keep the interior clean as well – especially during winter when there is more salt on the roads.